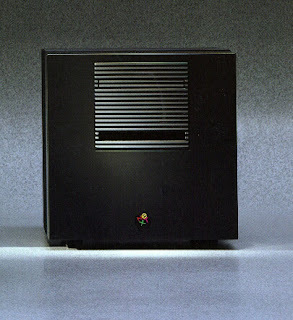 My admiration for Steve Jobs started the first time I read about the NeXT computer back in 1988. The NeXT computer was just a stunning piece of work. Absolutely every aspect of this computer was forward-looking in a way that I had never seen before. In fact, the least interesting thing about this computer was the hardware spec -- even though it was pretty spectacular. 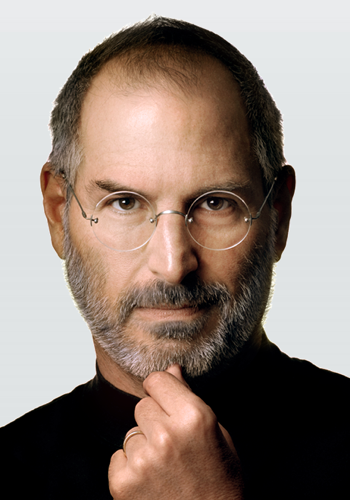 What made the NeXT so amazing was that it represented Steve Jobs' ability to look ahead. He understood the importance of having a solid operating system at the bottom. He made great strides in bringing graphical user interfaces to the forefront. He understood the importance of networking. He understood the importance of industrial design. And he was able to keep all of these things in his head at the same time. The NeXT was the first beautiful computer. And it wasn't just beautiful on the surface. Anyone who has taken apart a NeXT cube and looked inside can attest to the fact that this was the first personal computer that was properly engineered. Right down to the spring-loaded back-panel screws and the only cooling fan I have ever seen that not only keeps the device cool, but also filters the air and is easy to service because even the power connector was designed with care and attention to detail. Not to mention the single cable running from the main unit to the screen. One cable with video signal, audio in and out, keyboard, mouse and power, yet it was flexible and not overly thick. It took some hard work to design that thing. Amazing attention to detail. 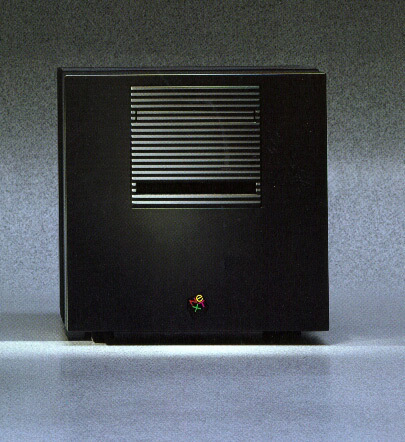 It was also the first proper personal computer to have a UNIX flavor operating system. This was a wise choice. In evolutionary terms, UNIX may be old, but it has stuck around because it was an unusually optimal design philosophy. The core idea behind UNIX is simplicity, smallness, and abstraction. Which means it is uniquely suitable as the foundation for layering operating environments and user interfaces on top. UNIX today is the dominant operating system in mobile telephones as well as the vast server farms of companies such as Google. UNIX, as I use the term, refers to a family of operating systems rather than any particular operating system. NeXTStep was, strictly speaking a "Mach kernel with a BSD personality". Explaining what UNIX really means may be the topic of a whole other blog post. The NeXT computer was, of course, the direct precursor to the computers we use today. And in evolutionary terms, the Mac practically is the NeXT computer. Steve Jobs is often thought of as a harsh, direct and difficult person. And I have no doubt that he is all of those things. Over the past days I've read a few articles on how Steve Jobs is not a good role model for aspiring leaders. I disagree because this seems to ignore the fact that it takes a strong personality and a strong will to realize a vision without compromising until mediocrity is inevitable. When a product is designed it goes through several stages. You start with the concept. The the concept is watered down during engineering. Then the product is further watered down when it has to be manufactured. This is why concept cars look so exciting -- and why the finished production model is inevitably a disappointment. The production model is always a compromise. This is also why personal computers, for the most part, are rubbish. Their realization is the result of giving in to every limitation that has been encountered from vision to production model. One of the key things Jobs did was to be unaccepting of this and to turn it upside down. Rather than having current limitations dictate the product he would push to address these limiting factors. In design, in manufacturing and in attitude. This, of course, causes friction, (and occasionally disaster) but in his case, the end results were hard to argue with. (Example: Jobs wanted the original iMac to be silent. In other words it could not have a cooling fan. The engineers said it couldn't be done. Jobs insisted and the engineers had to find a way. And they did. The iMac had no cooling fan. It may be hard to understand why Jobs insisted that this detail be delivered -- until you consider that most computer professionals suffer from hearing loss due to cooling fan noise). If Jobs had been a nice, accepting, more "democratic" leader, Apple would still be making the low quality grey boxes that were made while Jobs was away from Apple -- if they had been in business at all. The workplace might have been "nicer", but Apple would have descended into mediocrity and eventually death. However I do agree that he is not a suitable role model for most leaders. The reason is that Steve has a strong sense of direction, product, vision, and quality -- and most leaders do not. Before you can lead you have to know where you are going. And even if you know where you are going, you have to get up and lead every day. And you have got to deal with setbacks without becoming too timid. Compare this to the management at companies like Sun and Yahoo! -- companies that have had a distinct lack of vision and direction. I hear Carol Ann Bartz is a tough CEO, but she has been the CEO of Yahoo! since 2009 and I have yet to see any clear direction or philosophy. What is it that Yahoo! is supposed to be good at? I suspect that no amount of "being tough" is going to make Carol Bartz a better leader for Yahoo!. Because she just doesn't have any credible vision. She is treading water. Just like the last 3 CEOs. McNealy was the CEO of Sun for 22 years. Perhaps one of the most promising computer companies ever -- yet it never seemed to realize its potential. What on earth was McNealy doing? Sun should have been the queen of the prom in the cloud computing era. Instead the company went out with a whimper and was sold to perhaps one of the least innovative tyrants in the industry where what little it had going for it is being torn to shreds. I can not remember having seen McNealy say anything even remotely inspiring or insightful. Can you? If you are to lead forcefully, then you must have clear direction. Steve Jobs had clear direction. The majority of leaders do not. The majority of leaders aren't even involved in the products their companies make and thus it would be silly to adopt a style that requires you to be involved. Deeply involved. I think the aspects of Jobs style that leaders should focus on is the almost fanatical urge to evolve and to invest in the future. It is easy to forget that Steve Jobs spent a lot of time failing. That it took him a long time to find the right balance between short term needs and long term strategy. But he always had a long term strategy. And he always had the guts to be unaccepting of shortcuts that betray bigger goals. Don't look at where Apple is now and what they are doing now. Look at how Apple got there. Hate and fear them if you must, but at least understand why they succeeded. Or more precisely, how Steve Jobs made Apple a successful company. Jeg har en sånn. En kube, altså. Har aldri fått den opp å kjøre, den hadde proprietære grensesnitt for skjerm og tastatur (naturligvis). Tenkte å putte en PC i den på et eller annet tidspunkt. It was actually very impressive.But now it's time for the best ergonomic mouse for office, home and other working sectors.It's accuracy,reliability and security is incomparable. It's super durable ,smooth and fast.